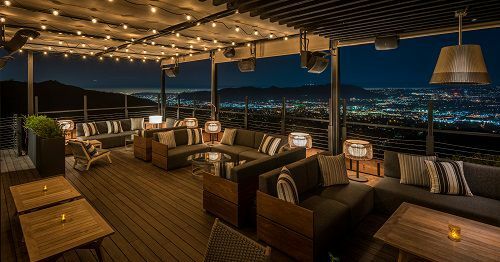 "Castaway in the Valley has some of the best views in LA, and they’ve just opened a speakeasy in the back of the restaurant. The Green Room has some upscale bar food, plus the same perfect view. There are only five cocktails on the menu, but they all sound crazy, and come in fancy contraptions that look like equipment from a Harry Potter potions class."